Mad Jack is extremely manly and ALPHA as he flexes his muscles and shows off his gains and POWER! His pecs have gotten bigger and his abs more SHREDDED! And his quads are ripped and big! He gets into the posing so much and flexes his muscles so intensely that blasts of masculine power come at you through the screen! It’s INCREDIBLE! 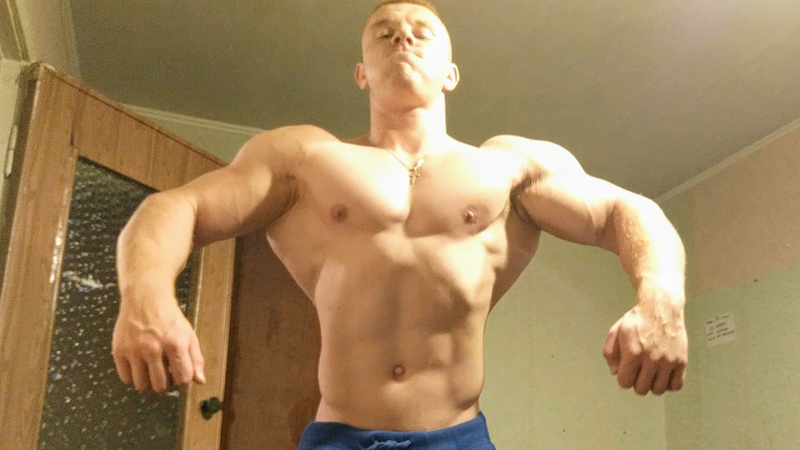 Witness a musclegod in action! Full video is 14 minutes long and in HD!